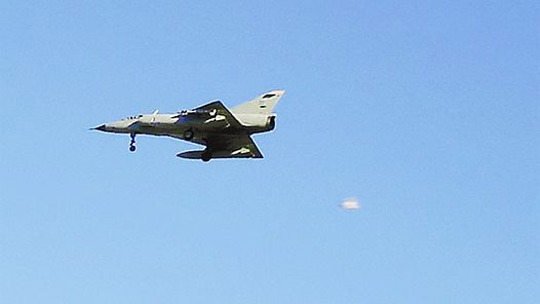 In a story published on this site last December we reported that the Argentinean Air Force (AAF) was in the process of setting up a UFO Commission, which triggered a lot of excitement in Argentina’s ufological community and media. True to their word, the AAF launched officially their Commission for the Investigation of Aerospace Phenomena (Spanish acronym CIFA) at a ceremony last Thursday May 26 at the Condor Building in Buenos Aires, the AAF Headquarters where the Commission will operate. One of the facets of CIFA that will seem highly unusual for North Americans, but not so in South American where cultural attitudes towards ufology are far more open, is that the AAF reached out to several civilian UFO groups and researchers to act as outside members and advisors of the Commission. These include Alberto Brunetti from the Investigative Group of Unknown Aerospace Phenomena (Spanish acronym GIFAD); Carlos Fergusson, coordinator of the Argentinean Ufological Network (RAO); the independent researcher, computer expert and well known local ufologist Carlos Alberto Iurchuk; and Andrea Pérez Simondini, a chemist with CEFORA, an umbrella group of Argentinean UFO groups which requested, in a letter to President Cristina Fernández several months ago, the declassification of military UFO documents —a story also covered in this website at the time. Silvia Pérez Simondini, the director of CEFORA who also runs the Visión OVNI UFO Museum in Victoria, a city in the province of Entre Ríos famous for its many UFO sightings, told the newspaper Clarín that “it’s wonderful that this Commission has been created because whenever we need to conduct analysis we’ll have access to official laboratories.” Silvia’s daughter Andrea Pérez cautioned that it’s important “not to create false expectations in the people, that’s why we’ll have now a decisive body that will evaluate what is certain and discard what is supposition.” Iurchuk noted that “the first step is to exclude satellites, space junk, balloons and meteorological devices, rockets, meteors and even the International Space Station (ISS) can be confused” with a UFO. Dr. Oscar Galíndez, a retired judge and highly respected jurist who was also a pioneer of serious UFO investigations in Argentina in the 1960s and ’70s, serving as representative for the Americans groups APRO and NICAP and Britain’s Flying Saucer Review, commented in a web column that “the scientific investigation of the UFO phenomenon requires the collaboration of many interdisciplinary fields joined in a common goal. I am happy to see that the Argentinean Commission is oriented towards this correct way.” Another highly respected Argentinean ufologist who also met Capt. 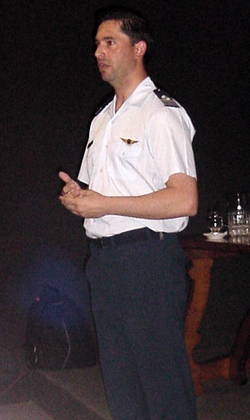 Mohaupt during his informal meetings with the UFO community is the architect Roberto Banchs, author of several important UFO books and monographs. 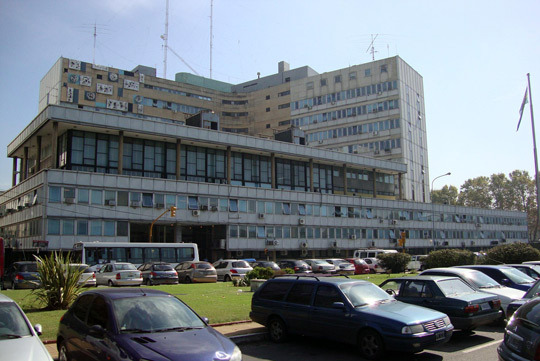 The newspaper Tandil Diario, on the other hand, speculates that the Commission should mobilize and look into a series of UFO sightings that were reported in the city of Tandil in Buenos Aires province. Yet another good case for CIFA would be to reinvestigate the important multiple-witness case in the town of Joaquín V. González in Salta province on the early hours of November 26, 2009, which was linked to a power blackout after a large cylindrical-shaped object was seen beaming one of the turbines of the El Tunal Dam of the local power company EDESA. We also covered this UFO case in detail in this website. Regardless of which cases CIFA investigates—time will tell obviously—it is worth noting a couple of comments of a sociological nature. One is that Argentina’s fledging military UFO commission is not the first but rather the latest such agency in South America. Three of Argentina’s neighbors—Uruguay, Brazil and Chile—already have official UFO investigation projects. I expand on this subject at length on the next issue of Open Minds magazine (August/September), discussing the official UFO projects in Uruguay (CRIDOVNI), Chile (CEFAA) and Peru (OIFAA). The second point worth noting is the lack of adversarial relationship between the official South American UFO projects and civilian ufologists. This is almost the complete opposite of the history of this subject in the U.S. Even when there were official UFO investigations like Project Blue Book or the Condon Commission, there always tended to be bad blood between the government and private UFO groups and researchers. The government investigators would tend to ignore or belittle the civilian ufolgists who in turn would accuse the government of bad faith and censorship. In South America, on the other hand, the dynamics is exactly the opposite, as illustrated by Capt. Mohaupt’s meetings with the Argentinean UFO community and the fact that some of their more prominent researchers were invited to participate as external members and/or advisors of the AAF Commission.